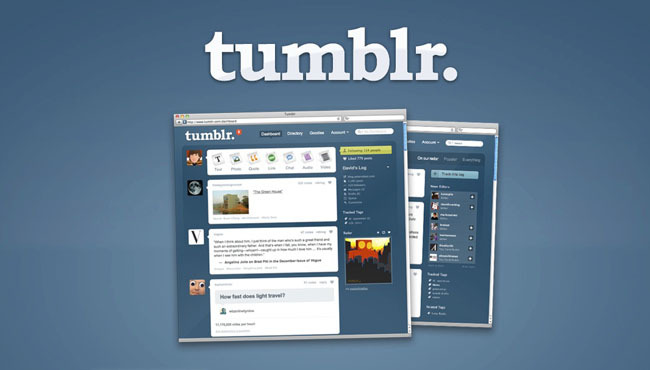 Social Media’s popular website Tumblr has been benefiting people all across the world, there are a lot of media sites but this one really does the work for everyone everywhere. Now there are some tips and tricks that you need to keep in mind in order to make it work for you. What normally people do is that they post one type of content and that’s it, either would be related to their own private work or some collection or something that they like. What everyone needs to know is that this will not work in your favour. You need to post things that people find interesting too, something that makes them visit your Tumblr account. All kinds of media need to be used like Audio, Video, Visual & Interactive only these will make your profile worth visiting. Memes are the second most popular thing on Tumblr, they are easiest to create using a simple Paint tool on every desktop and laptop. For the phone a regular picture editor can do the job and you will be posting Memes in no time. What you need to keep in mind is create Memes that are interesting, funny and the audience will love visiting your profile over and over again. Now I have combined these two features together which means that you need to use tags that are relevant to your post. Missing out on tags means missing out on a lot of traffic and you certainly do not want that. So think before you start typing away of all the tags that you can use and that are relevant, also keep in mind using tags that do not work for your post might not work in your favor too. As for keeping regular, Tumblr is not a place where you get to visit every now and then hit a post and get traffic. You need to be regular on Tumblr so that people know that you have something worthwhile to share rather than just promote yourself.